Grand Geneva Resort & Spa is a 4-diamond (AAA) resort property (one of only 5 in Wisconsin) featuring 355 elegant guest rooms, 3 dining options, 2 championship golf courses, a full service spa, water park, indoor and outdoor tennis courts and swimming pools, ski and snowboard park, kids recreational center, 62,000 square feet of event space, horseback riding, hiking paths and more. For more info on the resort, click here to visit their website. 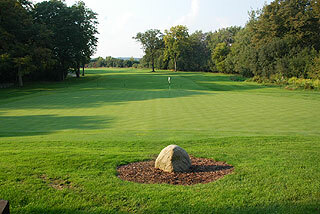 Golf facilities on property include practice greens with unique surfaces ( including an 19-hole putting course) driving range with synthetic and natural turf, locker room facilities, Links Bar & Grill (open for breakfast and lunch) and well stocked pro shop. All carts are equipped with GPS and the courses have 150 yard posts on all par fours and fives and the tee boxes on all par threes are marked. 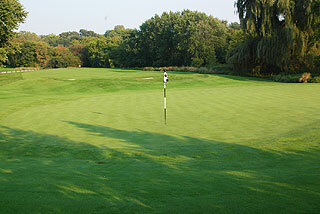 The Grand Geneva Golf Club was awarded the Conde Nast Traveler's 2012 Readers Poll for Top 10 Northern U.S. 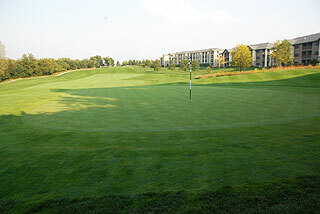 Golf Resorts. There are 4 sets of tees on the Highlands Course that play to distances and slopes that measure 6659 yards/125 slope, 6207 yards/120 slope and 5675 yards/114 slope and 5011 yards with a slope of 115 for women playing from the forward sets. 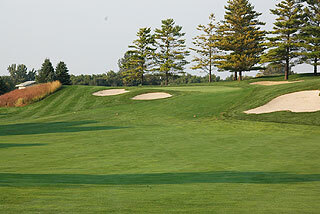 There are 54 strategically placed sand bunkers and water hazards come into play on 2 holes. 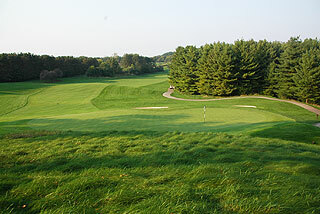 Originally designed by Jack Nicklaus and Pete Dye, the layout was renovated by Robert Cupp and is a Scottish themed design which rolls and tumbles along glacier carved hills and valleys. Compared to the Brute, the bunkers on the Highlands are smaller and deeper, and the fairways are wider with spacious landing zones. 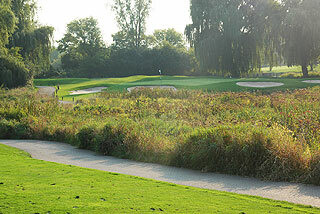 The terrain features beautiful willow trees and a winding creek, and tall prairie grasses. 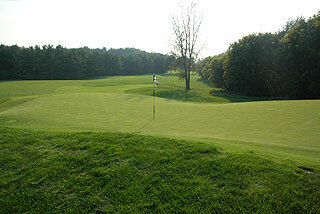 This is the easier of the two courses - a fair and beautiful resort golf experience. 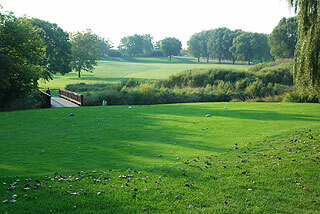 Rates in 2012 topped out at around $130 prime with great spring and fall pricing. For more info, visit our page for the course with direct link at their website by clicking here.